I am Mira from the Pleaidian High Council currently serving the Earth Council. We assist with the Ascension process in numerous locations in creation but we have never seen anything quite like this. As Ground Crew you are sharpening up your skills and mastery as you are maneuvering through some of the darkest energies we have seen. You are earning not only your Badge of Courage but many extra awards for your diligence and expertise. Your big reward will be to inherit your Earth back. Thank you for your loving service and willingness to participate in this divine experiment. 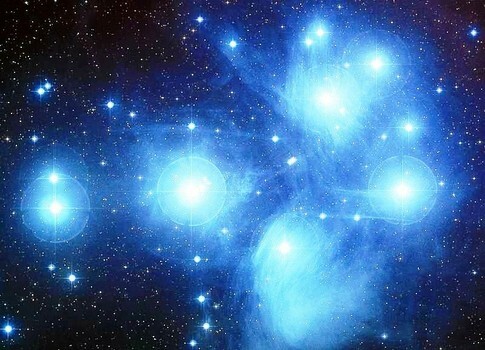 The Creator is pleased with you too and so are the many members of the Light Alliance and the Galactic Alliance. Without your co-operation the evolution of this Solar System and many others would not be as feasible. Little by little and layer by layer, the dark forces are being stripped from their grip upon you and the planet. We assure you that even though it might feel otherwise we see what is happening and want you to know they are pressed for continuing their agenda. They are behaving like wild tornados because they know their time is short. You might liken them to your big alligators thrashing about with their long tails. They are angry and hungry to maintain their control and greed. The crisscrossing over and around the complicated systems is already in place. We continue to monitor everything that is going on in their minds and their actions. Every one of us has assignments just like you. When the time is right you will know more of what you will be doing. We think you will like your new assignments. In the meanwhile, keep taking in the Light, meditating, praying and directing helpful energies and resources where you see they are needed. Stay out of fear and abide in the reassuring energies of Love. New patterns for a new Earth and new life on the Earth are already overlaid. They will be anchored in at the appropriate moment. We know you are deserving of a much better way of life. The struggles and suffering are nearly over and then the rebuilding will begin. You will begin to see the way out of the past into a glorious new future. We are with you – guiding you and protecting you. We are also standing up for your rights to a much better life on beloved Earth. Please continue to be the beacons of Light and shining stars of the Earth. We love you and are astounded at who you are Ground Crew. On November 7 around 6:00PM a huge beam of blue and green light was seen in the skies from Santa Rosa California to Southern California. Do we have the ground crew rounded up and paying attention to all that is happening right now on the Earth? Perk up your ears and watch your skies because there will be much more coming your way to show you that we are with you. We timed the flight (mentioned above) so that you would be made aware of our efforts to comfort you and excite you with our presence and our participation in the unfolding events. Although we can’t do things to save you, we can encourage you and assist with technology where it is needed. This is the time of the greatest need for life and for the Earth. Much is at stake. We are taking responsibility on the Earth Council for where intervention is necessary. We want you to keep your morale up. Discouragement makes you take steps backward and we want you to move forward with ease and grace. When we provide air shows we do it at a certain risk. Your government continues to deny it could be a fly over and dismissed this last one as “a naval missile.” You can decide for yourselves. The truth is flawless and you will know if it is so. We are collaborating with many powers that be/are on the Earth. Our Council is active. We have issues to resolve together. We are making big steps towards resolution so that the next steps in progressive change can be taken. Ultimately you will have a new planet of beauty and Love like the Earth was in the beginning. You will begin to see the end of the old ways. Each time there is a shift you will feel lighter and happier. Pleasant times are coming for pleasant people. The unspoken and newly accepted truths will be easier for you to integrate. The lies and perpetrations of the past are falling away. Some are continuing to act out like spoiled children who are accustomed to getting their way. It is going to become increasing unpleasant for those who continue to pursue self-interest, greed, power, hatred and war. They will begin to feel misplaced, labeled, and revealed for who they are and what they have done to you and the planet. You will observe with wonder and awe at how they respond. It will be given to each according to his/her need. In the end all will be revealed and your new work in the New Earth will become clear. The Earth Council is working at Light speed to implement and co-ordinate the rising needs and changing consciousness. It’s all coming together and working for you and for the Earth. Self-interest is on a downward sliding scale. The release of these energies will assist you to lighten up and catapult the Earth into the Light. I am Mira with Love from the Pleiadian High Council working with the Earth Council.